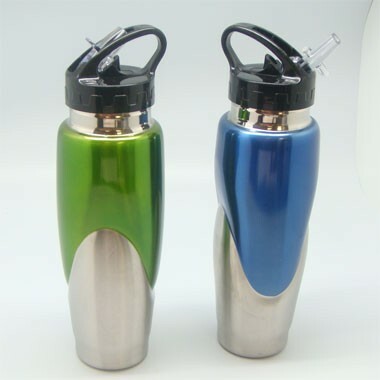 Description: 2PC STAINLESS STEEL SPORT BOTTLE SET. SET INCLUDES ONE BLUE AND ONE GREEN COLOR TUMBLER. FLIP STRAW, FINGER LOOP FOR ATTACHING TO BELTS, BACKPACKS ETC. IT FITS STANDARD CAR CUP HOLDERS.